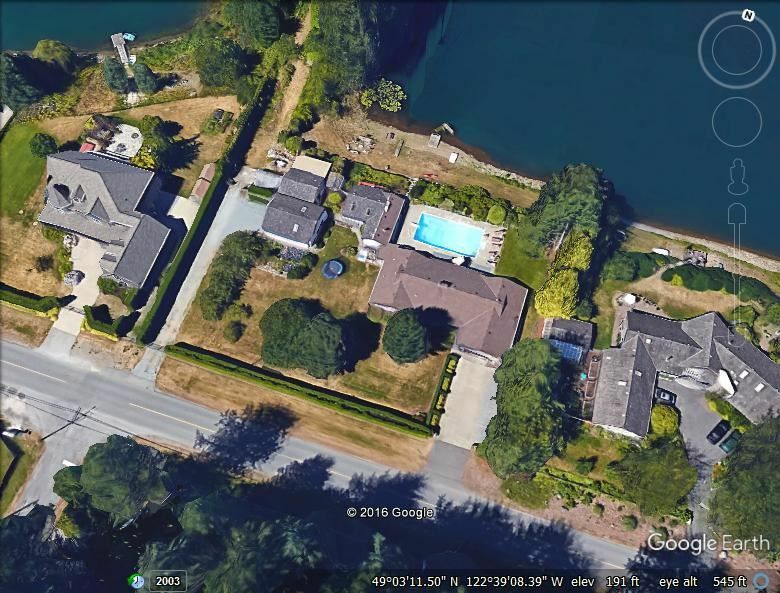 Waterfront estate on beautiful Rees Lake in desirable Brookswood area of Langley. This 2.5 acre property boasts 215 feet of frontage on 28th Avenue and one of the longest shorelines on the lake. The spacious rancher features 3 bedrooms, 4 baths and a big family room. At 2600 sq.ft. this home has plenty of room including a separate living area for your mother-in-law (or not). Relax on the huge patio overlooking the 20x40 in-ground pool or putter at your favourite hobby in one of the 2 separate workshops. There are plenty of trout in the private lake for those who love to fish. Open house Saturday Sept. 17 10am-2pm.